1. Click on Seas of Gold (SOG) to start playing and create yourself a character. 2. When you reach Lvl.8, "Event" will be unlocked. Click it to redeem codes for Gift Packs. 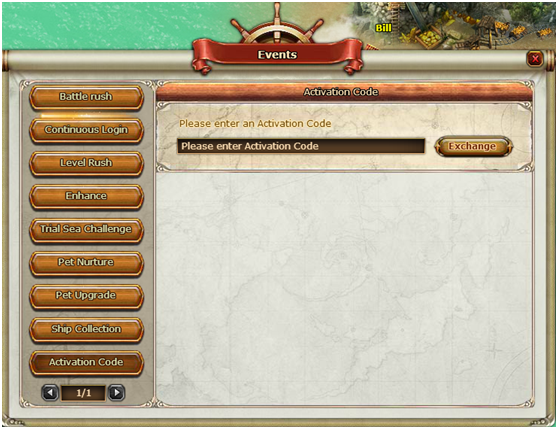 3.Enter your code into the input field and click the Exchange button. 4.Claim the gift pack in your in-game mail. 1.Each R2Games.com account is eligible for one code per character, to be redeemed on Seas of Gold's servers. 2.Each Code may only be redeemed once.